Spring Forth Dog Academy is now Crossbones Dog Academy! New year, new name. (Same shade of orange.) New for 2019: Spring Forth Dog Academy is now Crossbones Dog Academy! So much has changed since Dan and I chose our business name “Spring Forth” in 2010. It was a play on words (think Springer Spaniel) accompanied by my pencil drawing of Tessie jumping. The logo was very personal. Crossbones is a business name and logo combination I originally came up with in 2013. For a period of time, I used it as a brand while teaching agility classes in Rhode Island. (In fact, some of those students are still taking classes with me today!) I always loved the concept of Crossbones, but was afraid to take the leap and rebrand. The biggest change in our business, one we never saw coming, is that it grew from two people to an entire team of trainers and support staff. As a result, we decided to update our brand to Crossbones. We wanted to reflect the spirit of how our organization has grown over the past eight years. People pursue careers in the dog industry because they want to make a difference for dogs. For example, a lot of people start out training dogs as a hobby, and then open a small business to teach lessons a couple nights each week. But in order to do that, they have to also devote time to marketing, administrative duties, and all the legal mumbo-jumbo that goes along with being a small business owner. 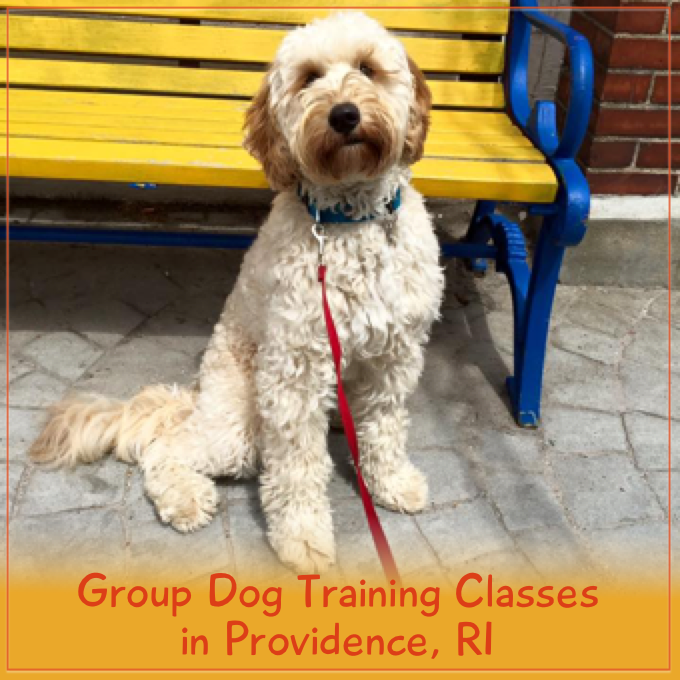 As we gained experience as dog professionals, we had an “a-ha moment.” The way to make the biggest impact was to assemble a group of talented, committed people who also understood that by teaming up with us, they could accomplish more. Our trainers can spend more time working with dogs and owners because our administrative team and facility assistants take care of everything else. In a nutshell: more time with dogs, less time in an office. As a result, we each help far more dogs and owners than we could if we all operated as one-man bands. This summer, our team collaborated to put our ethos into words. We created a mission statement and list of core values that inspire us to show up each day and do our best. And in the spirit of new year’s resolutions, we’re sharing it in the hopes that it inspires you, too. MISSION STATEMENT: We provide exceptional care and a positive education for dogs and their owners. We model & encourage responsible dog ownership. 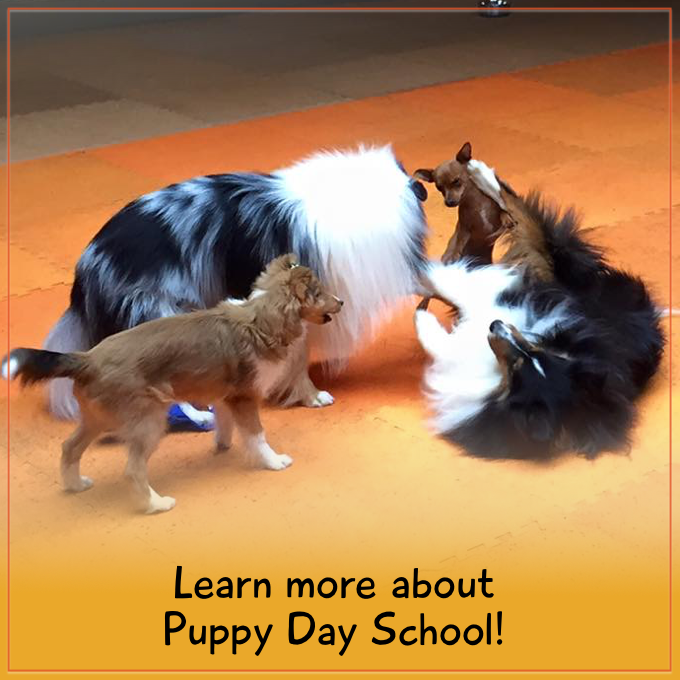 We provide enrichment & socialization opportunities for all dogs. We teach effective, positive dog training techniques to strengthen dog & owner relationships. We make an impact in our community by educating & supporting dog owners & team members. We make a difference in the lives of dogs & their owners through education, empathy, & creative problem solving. We work as a team, and believe that by supporting one another we can bring out the best in each individual. We are a fiscally responsible company that provides a living wage to our team members. We treat everyone with fairness, kindness, and respect and promote open communication. We provide a clean & safe environment for clients, team members, & dogs to enjoy.